Over the years Dragons have hosted many special guests, including Kyle Harrison, Greg Gurenlian, Brendan Fowler and Zach Greer. 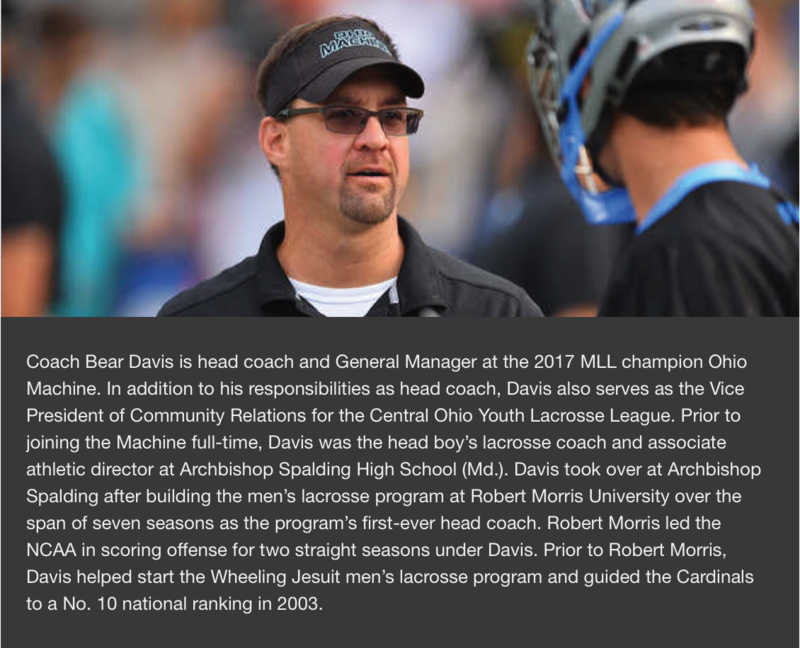 On February 2nd we are once again offering a special opportunity to learn from one of the best in the business: Ohio Machine head coach Bear Davis. Coach Davis will host a clinic series in conjunction with Dragons on February 2nd in Santa Monica. The program allows players and coaches to benefit from Coach Davis’ extensive experience coaching at every level from youth to college and the professional ranks. EVENT 1: Bear Davis Coaches Clinic - Set Your Season Up For Success! This unique, interactive classroom session is open to all coaches in boys and girls lacrosse and highlights best practices for season planning.